The GlobalDairyTrade auction has continued its positive trend with yet another lift. Overall prices lifted by +5.9% with the critical Whole Milk powder price up by +7.9% at $3,226. This is the third lift on the trot for this season and the largest to date. The New Zealand dollar has strengthened slightly against most other currencies which given the international turmoil over share price falls indicates that the fundamentals are looking healthy even if exporters would wish this strengthening reversed. And just to hand the RBNZ has announced no change to the OCR. The only market reaction has been a slight reduction in the Kiwi dollar by -0.4 of a cent. Fonterra share price has dropped from $6.29 last week (and $6.40 a week earlier) to just $6.15 today. This continues a steady decline in 2018 from the high of $6.68 on January 12. Given the steady increase from the indicator GDT auctions this decline perhaps can be attributed to traders negatively viewing the news around the Beingmate relationship in China and the reduction in volumes forecast in New Zealand. 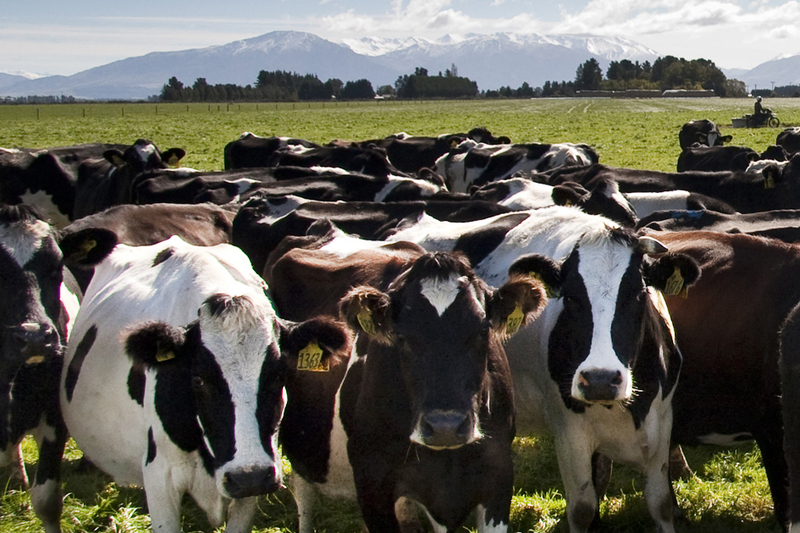 The potential of rising prices Fonterra may have to pay for farm-gate milk will also be a part of this. With confirmed MPB farms now reaching 21, disquiet is growing among dairy farmers about the handling and communication from MPI. Mark Bryan who setup a MPB support group for farmers in Southland says farmers feel in “no man’s land” as planning for grazing contracts and sharemilkers are in limbo as the extent of the disease unfolds. The MPI information page has it latest information update on January 12 and needs to catch up with events if it is to be a relevant source of information. Milk production around the region, as has been the case nationwide, has suffered in January from the heat with cows not finding the appetite to keep the flowing. NIWA has confirmed what most felt, including the cows, that January was the hottest month on record. The current cooler spell which is predicted to stay with us for most of the first half of February will provide some respite.